Good morning and welcome to the IFSP conference, which this year is looking at Opportunities, Challenges and Expectations facing the financial services industry. The IFSP conference is usually held every two years but following the overwhelming response and encouragement which Council received last year we decided to hold another one this year, in 2017. That is not to say that henceforth the IFSP conference will become a yearly event. Council’s raison d’etre for holding a conference is and remains the need which is felt to communicate with members by providing insights and provoking debate on topical issues which affect our daily life and the businesses that we work for. We hope that this year too we will not disappoint and will meet your expectations. Much has happened in this past year. This time last year the use of the term “Panama papers” would have been met with blank looks and open-ended questions, Donald Trump was just beginning to make waves in the Caucuses signalling a departure from being the most unlikely candidate for the White House, and at the end of January 2016 the date for the Brexit vote was not yet known. The outcome and the effect of these and other events will be the subject of much of the discussion during the various panel sessions today. 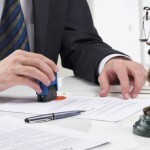 One issue that had however reared its head already this time last year, was the likelihood of an attack from international angles on Malta’s taxation system. Despite several twists and turns this remains as topical today as it was a year ago. So, if ever there was a year where the need was felt at IFSP to communicate to and with members, 2017 is definitely it. The issue of the Panama papers has dominated the local political scene since the first leaks in April 2016. Not one week has gone by without some reference being made to them in the local press. The Panama papers saga has also led to a major overhaul of the FAand increased pressure on tax transparency. The EU Presidency has catapulted the country into the spotlight and our critics have become more vocal, some seeking to obtain maximum exposure and create maximum damage by releasing reports on the eve of Malta taking over the Presidency. Throughout this past year, our Government has, with input from practitioners, sought to defend our taxation system and remind people that this was a system agreed to with the EU and implemented with the EU’s blessing. The battle continues as we fight one hurdle after another, ATAD 1, ATAD 2, BEPS and CCCTB. Whilst most practitioners are discreet and professional in their marketing efforts, unfortunately some others – and this includes even IFSP members -in a bid to aggressively market Malta have played right into the hands of Malta’s critics by including straplines on their website stating that the effective tax rate is 5% or providing details of tax structures with explicit indications of the tax due. Such granular detail should be discussed within meeting rooms and boardooms, not because we have anything to be ashamed of – because as I said before our system has been argued and agreed with the EU – but because this provides fodder for our most aggressive critics. 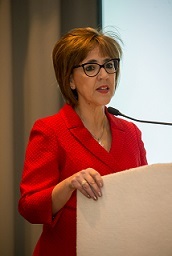 In the current environment practitioners have to rally together to defend our tax system, to provide our international clients, with accurate facts and figures so that they too can defend the Maltese tax system internally with their peers and boards, to continue to support our politicians to withstand the onslaught of criticism from international circles. Malta is and remains an attractive EU jurisdiction for financial services. The financial services industry is today one of the main pillars supporting the local economy’s backbone. Year on year employment in the sector has been increasing and today 5% of total employment in the Maltese Islands is generated by the financial services industry. The industry is also one of the key drivers of the increasing cosmopolitan nature that we have come to associate with Malta. So, whilst the defence of our taxation system should continue unabated, we should not lose sight of the opportunities to fuel further growth in financial services- opportunities such as those coming our way through events such as Brexit. We also need to monitor closely what will happen in the US under the Trump administration. If it is true that that the Dodd Frank act will be repealed or even stripped back, then Europe will have to respond. Even more so if FATCA is repealed. Jurisdictions that are vigilant, nimble and quick to react should be able to maximise on these opportunities and be the front runners of change. Let’s collectively ensure that Malta retains these qualities.